Men's products with great packaging always have my complete, devout attention. So when I happened upon a shop over the Christmas break called Manready, based in Houston, Texas, and saw the wide array of quality, handcrafted products, I knew it had to be my first Manly Monday post of 2014. Travis Weaver began this shop back in 2012 inside his kitchen. It was there that he crafted candles in small batches using all natural ingredients. Sold under the name Manready Mercantile, the candles soon inspired more naturally made products to complement a man's lifestyle. 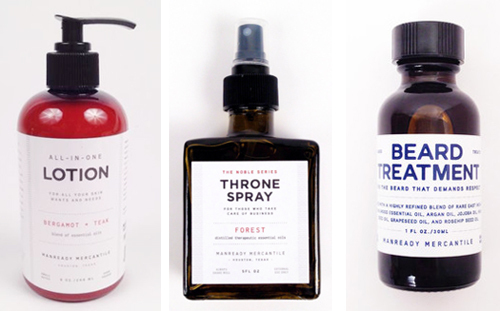 As much as I love great packaging, men just want products that do their intended purpose without much fuss or fanfare. And that's what I like about Manready- Travis and his team put much care and thought into which ingredients they utilize, as they use very few. Their popular bars of soap are made on a goat farm just south of Houston and each bar takes three weeks to cure. This set of four Gentlemen's Glassware is a bit fun. 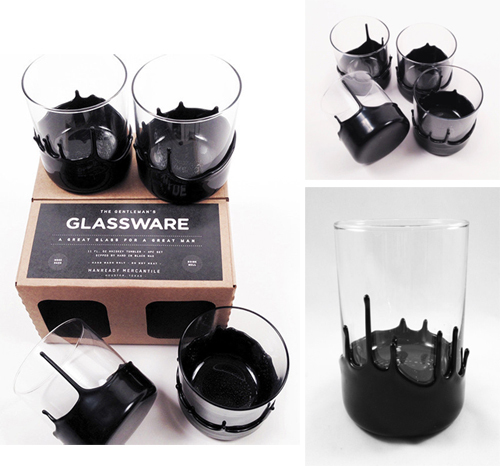 Each glass is hand dipped in a black polymer, which makes for a one of a kind conversation piece. Whiskey Soaked Campire Jerky sounds like a really good idea. All the beef is soaked in Bulleit Bourbon whiskey and slow smoked with Texas pecan wood. I think this is a no-brainer gift or perfect for your next road trip. 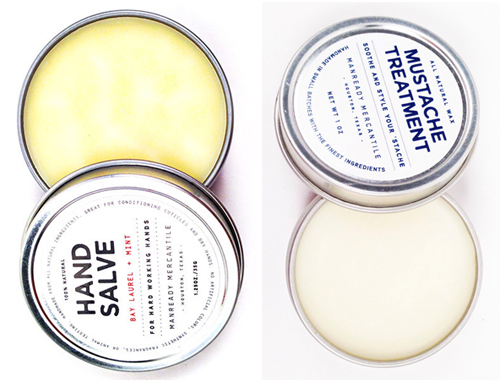 Check out the entirety of the Manready collection here.